Ever find yourself traveling way out in the middle of nowhere and unable to communicate with your friends? Well goTenna might be able to help you with that. The stylish pocket antenna connects to your phone via bluetooth and when it does, it is capable of picking up low-frequency radio signals from a 50 mile radius; the device basically turns your phone into a walkie-talkie. There are some limitations over what you can do with your newfound radio service, however. You won’t be able to make voice calls or connect to data, so don’t expect to stream cat videos on YouTube on your next hiking expedition. What you can do is send text messages and share your GPS coordinates with other goTenna users (via its iOS or Android app) and best of all, access to goTenna’s network is completely free. 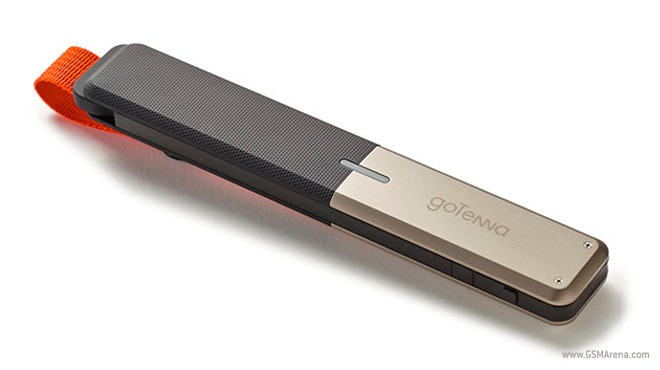 The goTenna team assures that all of your messages will be encoded and if a text doesn’t go through right away, the portable antenna will retry sending until the text is sent. Interested? Well, the preliminary units will retail for $150 a pair, that is, until the company reaches it’s $50,000 fundraising mark. After that, a pair of goTennas will run you $300.